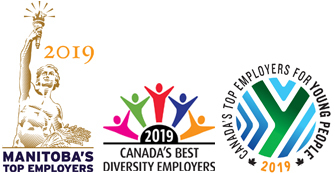 Awarded the distinction of being one of Manitoba's Top Employers for 2017, the Government of Manitoba is one of the largest employers in Manitoba with over 14,000 employees throughout the province. Join a talented, highly skilled and professional workforce that reflects the diversity of the people of Manitoba. Together we can build a stronger province and make a positive contribution to the quality of life of all Manitobans. Join us and begin your rewarding and meaningful career now.